On request, to simplify your journey to the Hotel Europa, we can arrange to transfer you from Naples, either from the Capodichino airport or the main “Stazione Centrale””. The cost of this service for two people is 98.00 Euro, one way. A convenient new service, which operates on Sundays, is now available – to transfer you by Luxury Coach from numerous cities in central and northern Italy directly to the hotel. From NAPLES CAPODICHINO airport, you can reach either of the ports in NAPLES by taxi in 20-30 minutes. A special tourist ALIBUS service leaves from immediately outside the Arrivals hall, and makes a single stop at the STAZIONE CENTRALE (Central Station) on its way to the port of NAPLES BEVERELLO – every 30 minutes 05:50-23:30. Buy tickets (3 Euro) from the driver. Both NAPOLI CENTRALE and NAPOLI PIAZZA GARIBALDI stations have exits into Piazza Garibaldi, from where the hydrofoil port of NAPOLI BEVERELLO is some 4KM away, easily reachable by TAXI, tram or bus. Alternatively, Alilauro operate hydrofoils to Ischia Porto from the small harbour at NAPOLI MERGELLINA, which can be reached by bus or taxi. Head for the “”PORTA DI MASSA”” section of the main port in NAPLES and, for the ferries, use the “”Varco Pisacane”” entrance. STAY OFF the tangenziale (ring road) and instead follow signs for the ZONA PORTUALE. After the exit, follow signs for the port, which is some 5 KM from the superstrada (motorway). Or, to cross by ferry from POZZUOLI, follow the signs for the TANGENZIALE (ring road) and head for POZZUOLI; then take exit 12 at VIA CAMPANA and go to the PORTO DI POZZUOLI (which ONLY has ferries; a one hour crossing, and a more frequent service) some 4 KM from the tangenziale. 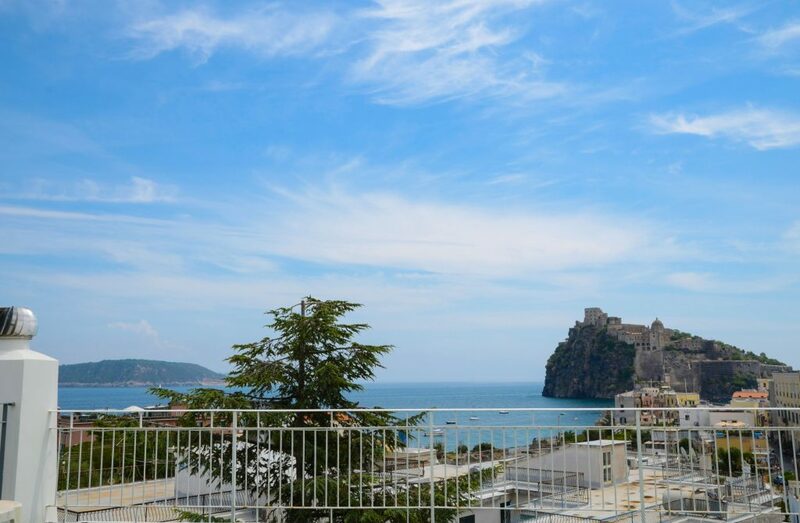 From Ischia Porto, take bus number 7 or C12 from the bus station – departures approx every 15 minutes – and get off at the stop near the Hotel Europa (just before the old town of Ischia Ponte). Alternatively you will find taxis and microtaxis awaiting you on arrival.